Hey, everyone. This is Masa from the Pyjama Bosses headquarters. In today’s Pyjama Bosses TV, I want to share all about team culture and how it can either decrease or absolutely ruin your duplication, and how you can really create a team culture that creates a scalable network marketing business. So come with me into the episode, and let’s get started. Hey, everyone. Like I shared with you, today, we’re going to talk all about team culture and how you can enhance your duplication. Now, before we get right into it, you know, there is one thing that we teach to our private clients, and that is a saying that your state becomes your team culture. So I’m going to write this down, and if you’re watching this, please, remember this. Your state becomes your team culture. What does that even mean, right? You’re probably asking yourself, well, what is a state? Your state is either your physical state. That means how you’re feeling physically, how fit you are, how healthy you are, how you’re showing up in your business with energy and everything. Your mental state, your emotional state, all of these states, if you studied any Tony Robbins then you know how important your state is to creating the right results that you’re looking for. In our network marketing business, especially being leaders and being always examined under the microscope by our team, our state is the one that longterm will determine your team culture. What does that even mean, right? Well, sometimes we say that how you’re doing things will actually duplicate through your team. Does that make sense? So anything that you’re doing in terms of how you’re showing up in the business, how you’re responding or reacting to things that are happening in your business, in your team, how you’re communicating with your leadership, all of that will replicate in a macroscopic way into to the team culture that you’re creating. Make sense? 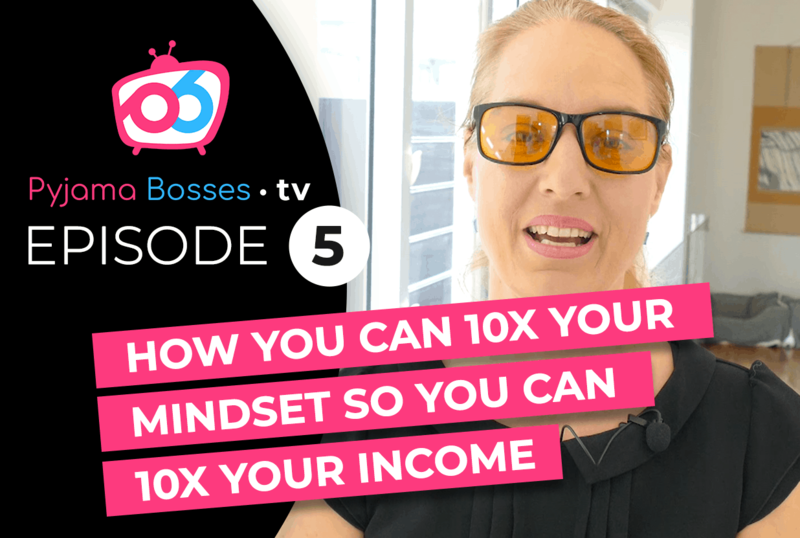 And so, really in this Pyjama Bosses TV episode, what we’re going to be talking about is how you can enhance your state, or how you should be showing up in your business to create the team culture that enhances duplication. Because let’s face it, you as the leader are really modelling for a lot of people, people are looking up to you. They are looking at you, how you’re showing up in the business. From our personal story with Miguel, a lot of the times in the beginning of our businesses, our main pattern was that we need to work hard, we need to push hard, we need to work as many hours as possible. While it’s important to have work ethic and discipline in our lives, which is definitely an advantage, it is not the only thing that should determine our state because if we’re focusing only on hard work, long hours, quite often, our state will go into overwhelm and burnout. How many of you have ever felt burned out, your energy is really low because you’ve been pushing so hard and working so hard? If you’re doing that consistently, guess what the culture of your team is going to be like? Your leaders may perceive that the only way to create success in your business is to push hard, work 17 hours a day, and guess what? Before long, some of them will burn out, and before long, other people in their teams will be watching that, and not many people will want to do that. You as a leader, you’re determined. You can do whatever it takes. But as a team culture, that is not a scalable, duplicatable culture that you want to be creating. Obviously, you know Miguel and I are all about creating systems in network marketing, duplication systems that give you leverage so that you can scale. Our journey taught us to be able to transition from just this hard work and push hard into creating a culture that everyone can adopt and can see themselves succeed. The other thing we teach, always, is about inception, giving a prospect or a team member an inception, an idea into their mind. That idea is “I can do this.” If they can see themselves doing what you’re doing, they’re much more likely to take the action to give them their results. And so, this is the core concept that I want you to remember. I might highlight that in green here. It’s really about your state, whether that’s physical, emotional, mental state becomes your team culture. Think about, you know, you probably know of leaders, I’m sure you’re not one of them, but have a whole lot of drama always going on, or have a whole lot of frustration going on, or a whole lot of challenges going on. How does that replicate into a team culture for them? Does that make sense? A whole lot of gossip going on, and so, we need to be really consciously choosing our state each and every single day. How do we do that so that we enhance duplication, we can scale our network marketing businesses to six and to seven figures, right? This is really our core. That’s what we teach. I’ve prepared three things that I want to share with you here. The first one is going to be, number one, you need to be really aware about what you’re showing as a state in your state to be your focus. First of all, I’m sure you’re just focusing on one opportunity, one company. If you’re diversifying and you have 17 businesses and you have part-time doing this and part-time doing this and part-time doing this, what do you think the focus of your team is going to become? Your state is going to become the team culture, and before long, how are you ever going to get people to do any work if they have 17 things to do? The first thing is your focus, but your focus is not just about your company and focusing on one company and avoiding all the shiny object syndromes, it’s also about the way you’re doing your business. In one of the previous episodes, we talked about how it’s not good to have a brand new strategy appear in your business every single day. The way you’re doing your business, the path that you’re choosing, the scalability through that path, it needs to remain as a one single focus. energy, protecting your health, protecting your mental state, your emotional state. You’re not reacting. You’re not being reactive towards your leaders and emotionally having outbursts, but you’re really protecting your physical, emotional, and mental state, and showing up in a way where people can trust, where people can rely on you. See, focus is all to do with scalability because you can only scale a business where there is a reliable leader, where there is a leader that provides a consistent infrastructure. That’s both in systems, the company, the way you’re doing your business. Right? The way is really the system. Right? And also, in your personal, emotional, and mental state. Your focus is super, super important. I know that you get this now. You probably always understood this, but now on a deeper level, you understand what this does to your duplication. So that’s the first thing. The second thing I really want to talk about is your physical, emotional, I’m going to write it all down, physical, emotional, and mental state. Okay? And how this is a modelling that you provide for your team so that you can create sufficient duplication. On the physical level, quite often the working hard can actually determine how we’re feeling physically. So you have to make a choice, every single day, as you’re planning your day, you have to make a choice how you’re spending your energy, and physically, unless you have very good clarity about using systems and minimising the amount of effort that gives you maximum input, you’re overworking and burning out. Very soon, that’s going to be detrimental. Most people will not want to do what you do. The ones that attempt it are going to burn out and they’re going to quit because of that. So you really want to be really clear on what you’re showing up within physical plane. Also having good morning and evening routines that actually give you the energy, making sure your health is up to scratch, all of these things. The other important thing is the emotional side. The emotional side is probably the one thing as we get to know each other, ourselves better on this personal development journey of network marketing and becoming a bigger leader, this is a huge journey for us. Quite often, the first few years in having my own business, there were so many emotional walls that I was going against. I just didn’t think things were possible. I was getting very frustrated with people. People were triggering me. I was getting angry with them. So, you know, how are you showing up on this emotional level? Again, you might want to think about stability, infrastructure, and in terms of what you’re providing. Now, this is not about lying to people about how you feel. This is not about showing up all happy and then behind the closed doors, you’re falling apart. This is not about that. It’s about the awareness that as you’re working on yourself, you may have bad days and good days. You may have days that you break down and everything is bad, but as an awareness, working on yourself so that emotional state becomes more of a stable. One big tell of a leader of how much they’ve progressed in an emotional way is how quickly they can get themselves out of a downward spiral. You always know that if somebody is able to bounce back faster rather than much slower, then you know that they’ve advanced very much, and so, they are giving some sort of stability not just for themselves but to their teams. Make sense? And then the last one is mentally. Mentally there’s all sorts of things, logically and not logically, what are you deciding in terms of decision making process? What are you actually doing on a daily basis? Awareness, all of these things come around the mental state as well. So these are three important things, as you’re thinking about duplication, remember your state will become team culture, and these are the three personal states that directly impact it. Now, number three. So far, so good? Are you following me so far? Okay. The next part that I want to share with you is, and hopefully, we can still see this writing, force versus power, here. It’s really about force versus power. This is a huge concept. To me, when I first heard it, I really didn’t know what the difference is. There’s actually a book, Force Versus Power, and a lot of the times when we first get into our own business, when we’re first creating success, when we’re first creating, you know, the first breakthroughs in our business, we’re doing it so by actually doing it in a forceful way, which means we’re thinking things like if it is to be, it’s up to me. It’s either my way or the highway. If it needs to be, I’ll do whatever it takes. This energy of you doing all the work, and perhaps feeling left out because none of your team is doing anything, and working 17 hour days and burning out. By the way, I have personally been through all of that. So has Miguel. That’s just our patterns. That’s what we believe is going to serve us better. Rather than doing that, as we understood, there is a better way to show up, which is stepping into our power. Stepping into power is really about having clarity. So I’m going to write clarity down here because it’s all about knowing exactly how to do things. So going right from the system, what are some of the prospecting, recruiting, team building, duplication strategies? When you have the clarity, something interesting happens. You stop pushing against, and not everything is like a big mountain, but all of a sudden, things seem like a downward slope. You start understanding it on the logical side, so you have clarity. And so, what happens from there is you trust and believe you’re on the right path. If there’s one emotion, if there’s one thing that I believe really the term is duplication coming from your personal state, it’s that knowing that you’re doing the right thing, that it’s a question of time. Unless you have this feeling right now in your business, you’re still a very long way off of creating six and seven figure results. It’s about knowing to have a way. It starts with clarity. Like I said, if you don’t have the clarity about the systems, processes, if you don’t have a duplication system, then you’re probably still searching the way, and you have this uncertainty, and the uncertainty actually makes you push forcefully against the result. That’s not the best way to create results. They’re usually short-lived, they go up and down, and typically, it burns us out emotionally and physically and mentally. Okay? A better way to show up is having the clarity. Clarity, like I said, what it gives us is the knowingness, is the peace, is the trust. I know this will happen. It’s okay. I will allow it to happen, rather that I will make it happen. So there’s a big difference in there. Hopefully, you get the difference between me from what I’m trying to share with you because that’s such a subtle difference, but once you get it, this can be the difference between you earning seven figures per year in your business, or never getting to six figures at all. If you’ve enjoyed this video, I’m really excited. If you got some value, please, make sure that you go ahead and share it with your team. Tag your team members, tag your upline support leaders, whoever you feel this is going to be really useful with. If you’re really looking for this power, if you’re really at the point in your business where you’re like, “I just wish everything wasn’t that hard. I just wish I didn’t have to force everything,” then you know what? Maybe you need to look at our free training where we explain how we do that, how we create the clarity. Just go to pyjamabosses.com/freetraining. The link is below this video as well. Pyjamabosses.com/freetraining. I’m super excited to see you again next week on Pyjama Bosses TV. Thanks for now.